I had nothing to do, so i made a simple Sticker note model with a pin model. 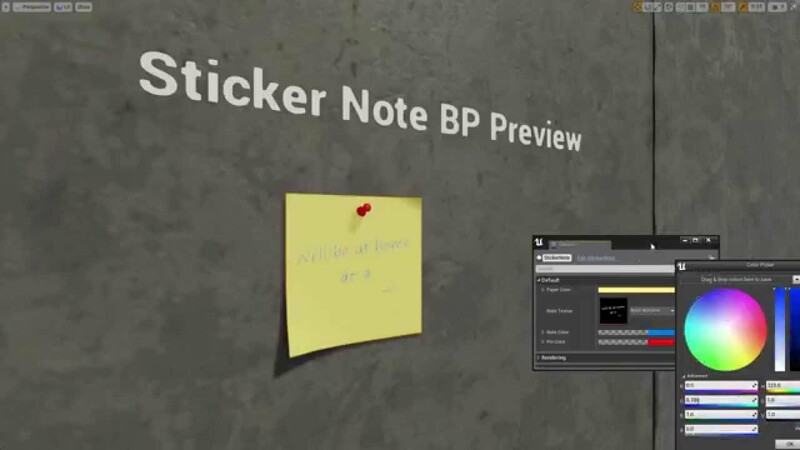 Put StickerNote folder into your Content folder. Btw, if someone need source files, write me a PM and I'll send u. Last edited by AlFlakky; 09-08-2015, 07:14 AM. Hi, the link is down, could you upload this again? Thanks for the gift AlFlakky. Is this still available and work with 4.19?